When the Mercedes Vito first went into production back in 1996 in the Spanish town of Vitoria it was intended on filling a hole in the Mercedes range. Available in both traditional panel van and passenger carrying form, the Vito has gone on to be a huge success for the company. 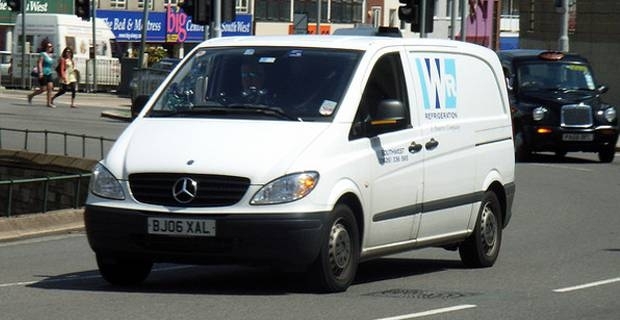 Named after long time Mercedes employee Vito Rosenstein, the first generation of the Mercedes Vito lasted for a total of seven years, between launch in 1996 and 2003, before being replaced with a brand new revision. This second, and current, version features a much more streamlined design than the first, as well as incorporating a whole new range of engines. On top of this, it is available in rear wheel drive for the very first time. There are a number of variants in the Vito family to reflect different engine power. For example, the 109 boasts 93 brake horse power, the 11 has 116 brake horse power, the 115 has 150 brake horse power and the 120 has an impressive 204 brake horse power. If the vehicle looks familiar to you, but you can't quite place it, it's possible that you have seen it on the roads acting as a taxi in London. This special version of the Vito was released in 2008, and has proven to be very popular among public service vehicle drivers. This taxi model has a number of changes to the main model, such as a special electronically operated reverse function that makes for much easier parking and U turns. If you're looking for an efficient, stylish and incredibly comfortable van or family vehicle, then there are few options available out there that stand up to the level of quality on offer from the Mercedes Vito. With more than a decade under its belt, the Vito is still going strong and promises to continue its gradual improvement thanks to Mercedes' focus on constant improvement.